I wanted to share this easy to make yogurt dessert with you because it’s the fastest weeknight dessert. I love to have something sweet after supper and one night I came up with this easy dessert. Instead of eating “fruit” flavored yogurt or sugar-loaded ice cream, try this healthy version. I know you will love it. It tastes much better too because you add real fruit and real raw honey instead of the processed fruit flavorings and added sweeteners. Do you also have a sweet tooth just like I do? What is your favorite dessert? This yogurt with berries and pecans is an easy weeknight dessert that is also healthy and delicious. Quick and delicious dessert. I usually arrange this simple dessert by layering yogurt and berries and pecans, and drizzle some honey on top. Of course, you can layer the ingredients as you please and add as much as you want, and I am sure it will turn fantastic. Enjoy! I love this combo for breakfast! So easy! 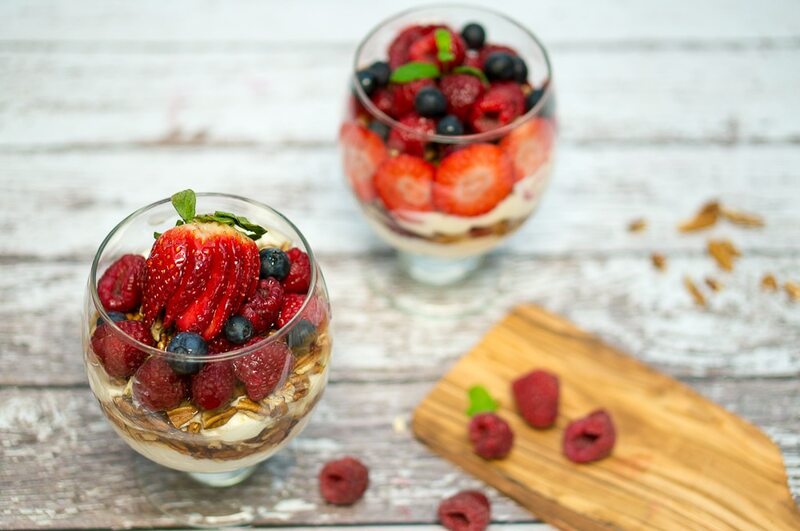 I never think to eat yogurt for dessert, but it’s a perfect sweet & light treat at the end of the meal – especially when the weather is warm and berries are in season! I love adding pecans as a yoghurt topping. It adds a nice crunch. 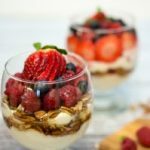 Yogurt is one of my favorite breakfasts and snacks, so I can’t wait to try this! Oh my! This Yogurt looks so delicious! I love that you’ve added pecans on top! Perfect! I love to eat berries year-round either way, but something about the pecans makes this really satisfying for winter! What a brilliant way to start the day! Filling, nutritious and beautiful to boot! This is such a simple easy way to make a great breakfast or snack. So fresh and delicious! 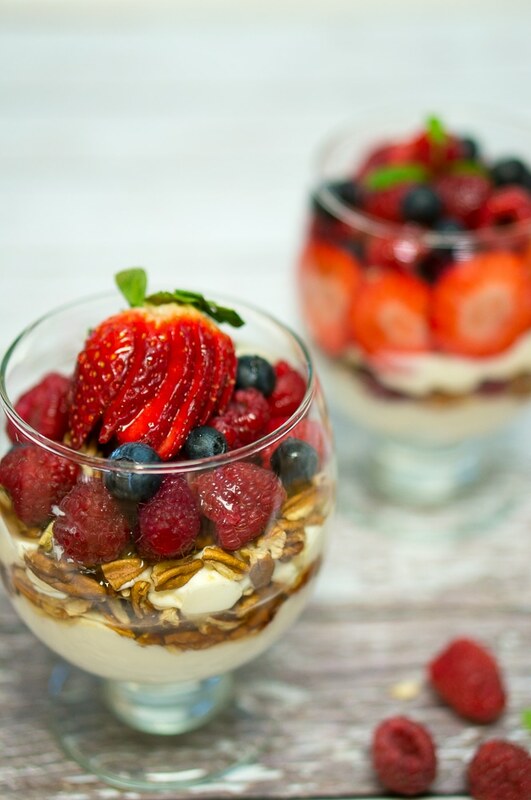 This yogurt with berries will be a great recipe to help keep me on track this new year. Excited to try this tasty dessert when I’m craving something sweet! This looks like such a healthy breakfast!